Sometimes it’s easy to lose your way in an unfamiliar wood. Carrying a compass and maps of the general area that you will be hunting in can help in the event that you get lost. Carry a flashlight with extra batteries in case you get caught out after dark. There are also flashlights on the market now that operate by just a shake, eliminating the need for batteries. Matches in a waterproof case are essential and a sharp knife is good to have as well. A traditional Bowie or a Swiss Army knife both serves the purpose. 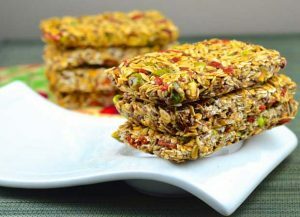 Some granola, candy bars, or dried fruit are a good idea to bring along if you are not skilled at finding food in the wild. Never eat any plants or berries unless you are familiar with what types are poisonous. If you are unsure of the safety of a plant or its fruit, don’t eat it. Risking an illness while stranded in the wild is not preferable to an empty stomach. A bottle or two of drinking water is necessary also. Humans can survive for weeks without food but only three days without water. You will not want to drink any water found on the land without boiling it for several minutes first to kill off any bacteria or parasites. It is recommended that you carry a needle and thread in your survival kit. These materials can be used to repair torn clothing. You can also stitch up a wound to stop heavy bleeding in case an injury occurs and you cannot get medical attention right away. Most hunters carry a six to an eight-foot length of rope to help drag their game back to the truck or haul equipment up into a tree stand. This rope can be used in many ways if you are stranded in the woods for an extended period of time. You can use a rope for first aid purposes, to help build a shelter, or to secure equipment during your hike. You can even string up a makeshift clothesline to dry wet clothing should you fall into standing water. Be sure to keep your rope with you and not in the truck. It is also a good idea to wear a belt when out hunting. A belt can be used as a tourniquet in an emergency, as well to help secure a splint to a limb if necessary. A belt is one first aid item that you don’t have to cart around either. It’s important to follow usual camp safety guidelines when starting a fire under any conditions in the wild. Always triple check to make sure a fire is completely out before leaving the area to prevent flare-ups and a potential forest fire. 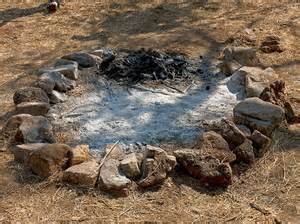 Choose an area away from trees and shrubs, and line your pit with small boulders or stones to help contain the embers. Gather larger logs and sticks and stack them in a teepee fashion. Then gather small twigs and scraps of paper to use as kindling at the base of your teepee. Blowing gently on your kindling will help your flames catch hold. You can use pine boughs to shield your fire from wind if necessary. You can also use boughs to stand or sit on if snow is present. This will help insulate your feet from the cold while warming yourself near the fire.